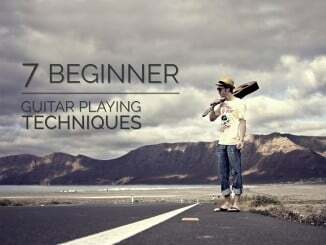 Learn about beginner guitar amplifiers and my top recommendations. Amplifiers can change the sound of the guitar more than the guitar itself. Today’s beginner amps can model expensive tube amplifiers for pennies on the dollar. Let’s learn everything you need to know about amplifiers. Beginners need a few things in their amplifier. 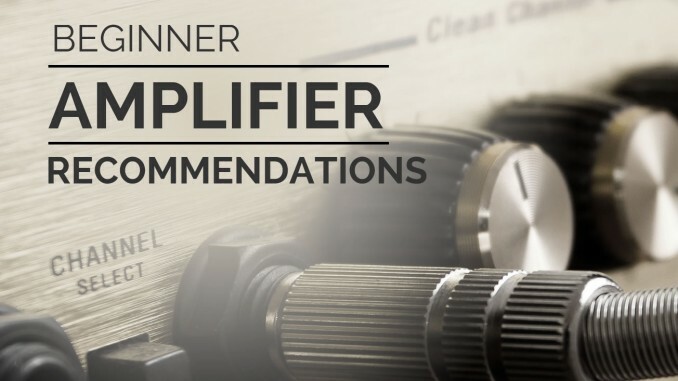 If they don’t have these 5 things, they will want a new amplifier sooner rather than later. Technology has totally changed the beginner amplifier market in recent years. Today’s amps can model the sound of expensive amplifiers. This can provide a great value, but not all amplifiers are modeling amps. Many beginner amplifiers only include two channels, one for clean sounds and one for overdrive/distorted sounds. If you buy a 2-channel amplifier, I guarantee that you’ll want to upgrade it if you stick with the guitar. Simply, if you buy cheap, you’ll buy again. That doesn’t save anyone money. This is why I recommend budgeting for a modeling amplifier. In general, the higher the wattage, the louder the amp. I recommend 15 – 20 watts for a beginner. This wattage is loud enough to play with other guitarists. If you want to play with a drummer, you will want a 20 watt or higher amp. You may notice that the speaker size increases with amp wattage. Guitar amps typically have 8, 10, or 12″ amps. You should expect an 8″ speaker in a 15-20 watt amplifier. Here are a few extras that you can find on some beginner amplifiers. Amp models – I’ve seen amps with over 20 amp models. Built-in tuner – this is very convenient. Headphone Jack – play quietly while others sleep! Aux jack – plug your phone into your amp. I absolutely love this feature. USB connectivity – This lets you record without extra gear. Effects – Some amps have stompbox style effects. Foot pedal – usually sold separately. I mention all these features because the upper end of the beginner price range will give you this entire list. The lower end will only give you two channels. Is it worth $50 more to get all these features? Portability is important so you can easily transport your amplifier to play with your friends. You also need to transport it if you take lessons. Beginner amps weigh 20 pounds or less, so they’re all portable. Some more expensive amps are larger and heavier. They sound great, but are designed for playing loud in a live venue. I would not start with this type of amp. With today’s modeling amplifiers, you can get a light, portable amp that sounds just as good for beginner prices. Some amps are battery powered. These are usually under 10 watts. I own a battery powered amp, the Roland Micro Cube. It is a 6 watt amp. I love the portability, but I have never used the batteries. New beginner amps cost $50 to $150. 2-channel amps cost around $60 – $100. Modeling amplifiers cost around $120-$130. Resale value on beginner amps is around 50%. So if you buy a $60 amp, it will sell used for around $30. My favorite modeling amps cost around $120 – $130. In fact, I liked one so much that I bought it’s 40-watt brother that has almost the same effects. You should be aware that you can buy a headphone amp, mini-amp, or an audio interface for your phone/tablet. These are all cheap options (< $50). I don’t recommend headphone or mini-amps because you can’t play with others and they don’t sound very good. The phone/tablet option gives you some amp model options, but it fails to give you a good option to play with others. Tube amps are the gold standard for amplifiers, but they’re expensive. Today’s amp models can simulate them so you don’t need to pay for them. Head units are amplifiers that connect to a separate speaker cabinet. These are used for live performances when you need to play loud, such as an outside venue. I don’t recommend them for beginners. They’re expensive and bad for your ears! If you want a 2-channel amplifier, I would search for the best price you can find. A couple weeks ago, I recommended the Fender Squier Affinity Value Pack to a friend, which included a 2-channel amp. The value pack costs $20 more than the guitar by itself, but it included an amp, strap, gig bag, tuner, picks, and more. The deal was too good to pass up, but he still plans to upgrade his amp in the future. The VIP 1 is my top amp recommendation. This 20-watt amp is a smaller version of the same amplifier that I own. It has over 20+ amp models, built-in tuner, 30+ effects, headphone jack, aux port, USB connectivity, optional foot pedal, etc. 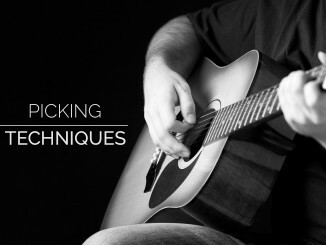 This one is great if you want to play clean, rock, blues, metal, or anything. It is the most versatile amps I’ve ever seen. It even supports bass guitars and electric acoustics through it. Learn more about the Peavey Vypyr VIP 1 at Guitar Center. This amp has 18 amp models, which include some classic Fender amp models. If you love the Fender sound, this is the amp for you. It includes some modulation effects, but not nearly as many as the Vypyr, but you won’t be disappointed by this amp. It has most of the extras too: headphone jack, aux port, USB, etc. You can learn more about the Fender Mustang I V.2 at Guitar Center. I hope this article helps you figure out what a beginner should get in an amp. When I started in 1996, I bought a 2-channel amplifier because modeling amps didn’t exist yet. One year later I spent $499 for a tube amplifier. This past year, I bought a modeling amplifier that is my go-to amp for $199. If you have any questions or feedback, contact me. I’d love to hear it. You can also check out my other recommendations. These new solid state amps cannot produce good clean tones. I tried many of them. Sam, Thank you for the comment. The video you posted contains a lot of information on understanding several aspects of guitar tone. I enjoyed reading it. The author of it also likes amp models/simulators because you can record them directly through USB like the modeling amps that I mention above. 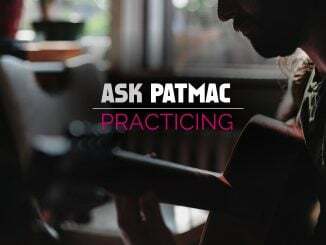 Did you know that many guitars resonate on a harmonic, meaning that the overtone (an octave or two higher) rings louder than the fundamental (the note you intend to play). I wrote a guitar tuner once and my friend, who has a PhD in acoustics, thought the overtones were interesting. Sometimes these louder overtones give the tone that you love. Your pickup and its location will affect the response. I could geek out on this stuff all day, so I’ll stop there. Interesting article, I did a lot of research last year looking for an amp in this price range. When I narrowed it down to my top 5 choices, both of the ones you listed here made the list but I ended up choosing the Blackstar ID:Core 20 and am pretty happy with it, light and portable but with pretty good sound & volume and lots of features. I think all 3 would be great choices. I bought the Fender Mustang amp and with the USB connectivity and I absolutely love it. I no longer have one amp, I have them all. The tweaking to the presets you can do on the computer is unlimited, and it sounds great. In fact, I have found the tones I have been looking for, for the first time in my life. Price is way more then reasonable given the features it has.